Using innovative technology, Elegant Touch Nail Guards provide the perfect base to any press-on nail manicure, whilst protecting against nail damage and prolonging wear. Removing the need for buffing, the ultra-thin Nail Guards prevent the natural nail from peeling; thinning; and brittleness caused by press-on nail wear & acetone removal. Simply apply press-on nails, gel manicures & acrylics on top for hassle free, no-soak removal and healthy nails. Application couldn’t be easier; select your size, tear, press and peel, for lasting results of up to 14 days! 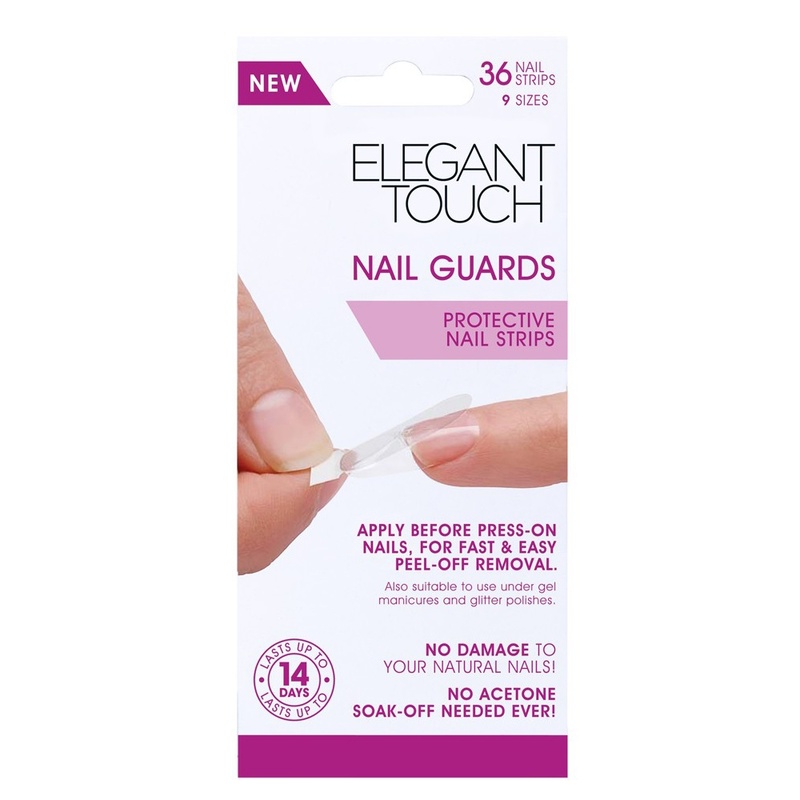 Showing our 2 Elegant Touch Protective Nail Strips - Nail Guards (36 Pack) reviews with an average rating of Excellent. Would you like to write a review? Purchased for the first time to protect my natural nails from acrylic overlays. Excellent product if you want to use false nails for a few days. Mine lasted a full week and on the 8th day one of the false nails popped off as it was not adhered to my natural nail but my nails were in perfect condition once I had removed them all. Would definitely recommend this product for short term use. Review - These nail guards are so good. They protect your nails so you can put on stick on nails without damaging your own nails. My only problem is they have discontinued them in superdrug so have to buy them online. Fantastic product. These nail guards are so good. They protect your nails so you can put on stick on nails without damaging your own nails. My only problem is they have discontinued them in superdrug so have to buy them online. Fantastic product.